Urgent medical help is at least 5 hours away and that includes calling upon the Cairns based emergency service chopper or RFDS aircraft. First aid may be available at Pandanus courtesy former medics or nurses camped therein but bring your own first aid kit. It is an essential item. DO NOT RELY ON OTHERS FOR KITS. 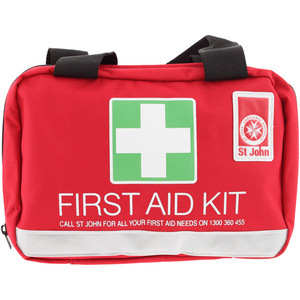 Whilst at Pandanus Park you are a long way from medical attention ,bring a substantial first aid kit ''DON'T RELY ON OTHERS'' bring ALL prescriptions needs for your stay and if the situation needs more than first aid follow this procedure. Remove danger ….to you and the patient. In Pandanus Park call on ch 1 uhf ''emergency'' ''emergency'' for assistance and make someone aware of your situation and position. Send a runner to ranger base to pre-warn of inbound patient. Once moving the runner should change to ch 17 and call regularly till the base or a work unit picks up his broadcast and the runner advises them of the situation, they in turn will notify ranger base by HF radio or sat phone ,continue the trip to the ranger base the runner may be the first one to notify ranger base of the situation so check at front desk, if no one there go to the big workshop, if no one about go to the closest house to the strip that's Mrs Cockburn's ,you may be needed at the aircraft turn out so go to the airstrip and park well out of the way… and wait. 6. Person in charge of situation at Pandanus Park, prepare and transport patient to ranger base. Early contact with Mrs Cockburn could save a life….she is Area Medical Officer…has a direct link to RFDS, and has the area RFDS medical kit…she could have a plane on the way before the patient leaves Pandanus Park. 9. If you are the one in control of the situation ''DELEGATE'' get it happening ….time is the essence. IMPORTANT: Bring all your medication needs with you. For Information on WHAT TO DO IF YOU GET BITTEN BY A SNAKE – See our WILDLIFE GUIDE – click here.